Strange look. The old lady with the modern letters. But that back position is way better than in the middle of the ship. Did anyone notice that we have very few interior shots from Vesterålen? Spotted her on webcam yesterday at Honningsvåg: if you look closely, you can barely see the Christmas star above her panorama lounge. A few interior images of Vesterålen. Wonderful... strangely, I do not have many interior images myself. That is really strange, because most others, I have a documentation, but not the mid generation ship(s). ..............and these 4 images above, are my ONLY 4 interior-images of Vesterålen. 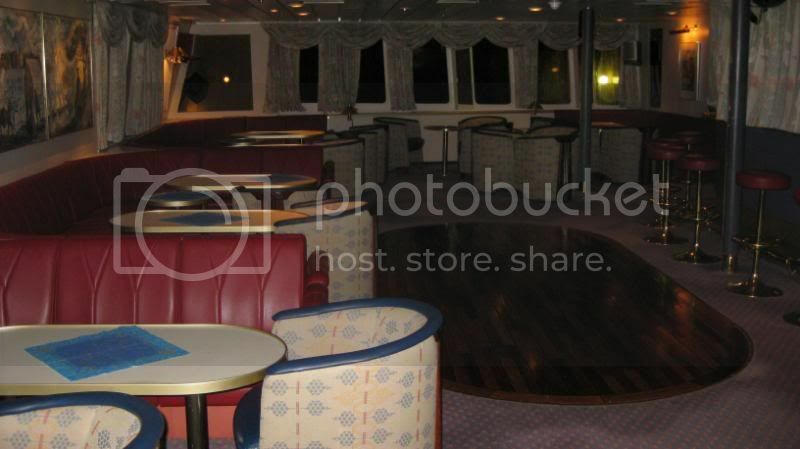 Not a SINGLE interior-documantation from "the old days" before she was rebuilt/modernized. I guss we are paying little attantion to the mid-generations. Yes, I agree, it is a puty we don't pay much attention to this generation as we do the newer ships. 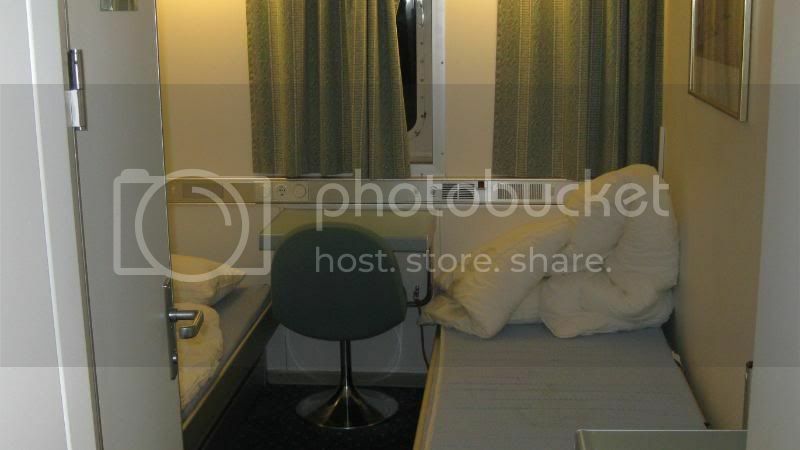 It's the same for old ex-Narvik and ex-Midnatsol too... not too many images from the interiors there either. 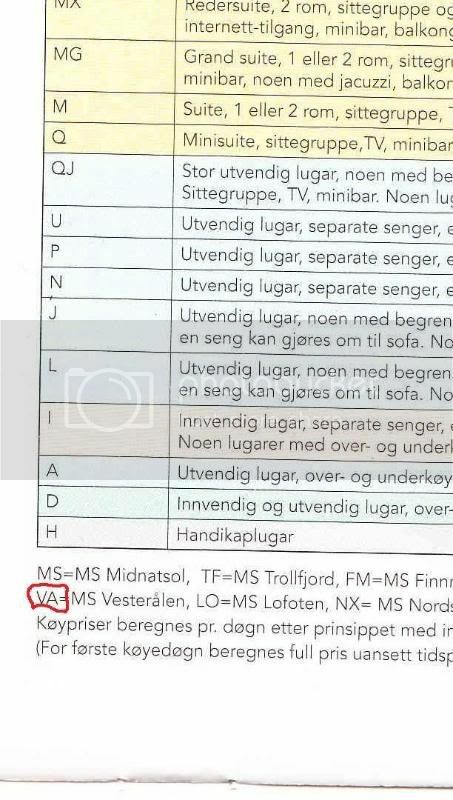 PS... VÅ is VR, ain't it? 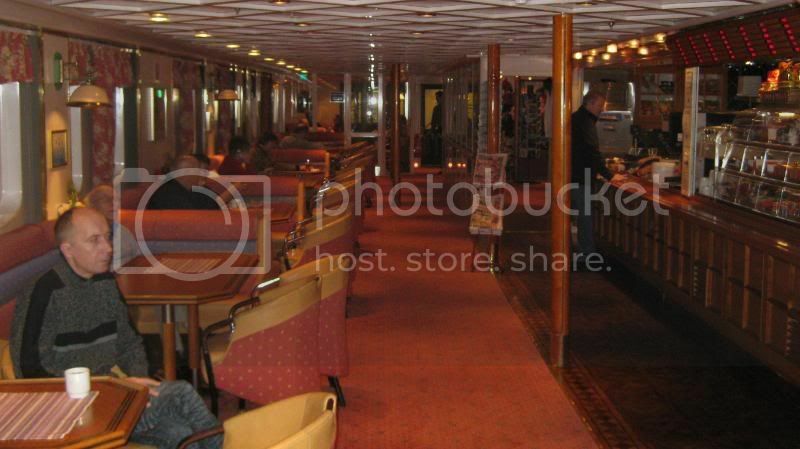 ...It's the same for old ex-Narvik and ex-Midnatsol too... not too many images from the interiors there either. ..
OK, OK, I get the message - after my big effort with the new Midnatsol last week, I will now make a start with the mid-generation ships, starting with Vesterålen tomorrow. .... aren't you a true darlin'? I just realized this fact when I saw the web camera image of VR yesterday, and after browsing the thread. We should definitely give each ship a fair chance to shine, right? I don`t want to argue, captain. And I don`t know what VR means. 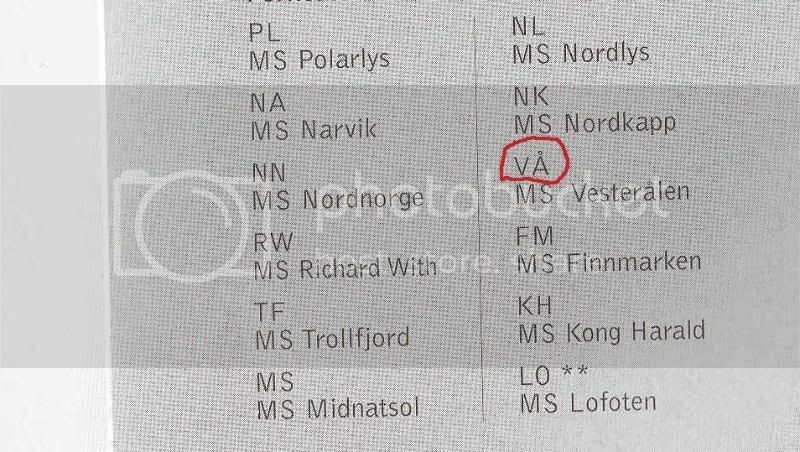 But the code-letters of Vesterålen is/was VÅ. But I think it has changes to VA now. Because the letter Å is not international. Awesome... I learn something new each and every day. This is great! No my eyesight isn’t that good - I saved the schedule when it was posted as it was such a convenient update of what was happening at that point in time, and so can magnify it . Oh in case you were wondering, the British current brochure doesn’t use abbreviations! No problem. If you are running out of abbreviations, i will help. Oh, yes, that was a nice detail of all the 3 mid generation vessels. I recall it being placed right inside the gangway on .... was it C-deck? .... I recall it being placed right inside the gangway on .... was it C-deck? That’s right – gangway and reception is C Deck. I liked your photo Mats as it’s taken from a different viewpoint than my attempt. Looks like there’s a display screen or something where I stood. And I recollect a post box on the left. That was in early 2004. I wonder when you took your photo? 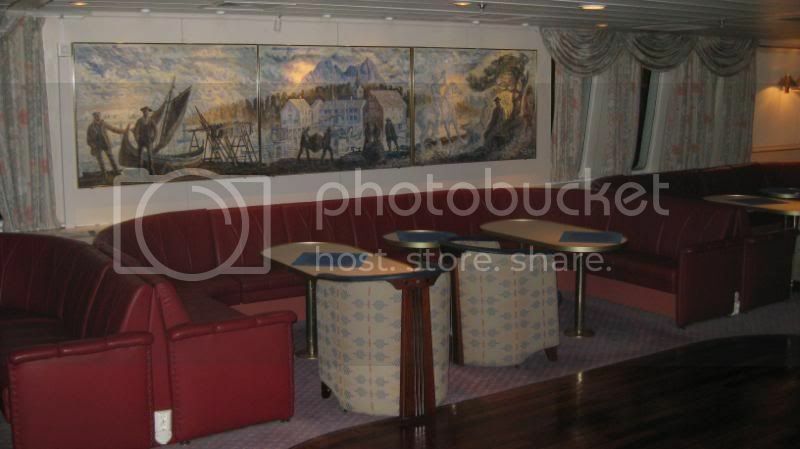 And HurtigruteMartin, I’m so pleased to see your photos of the aft lounge as it was not being used when I was aboard and I don’t have any photos of it!